so …. 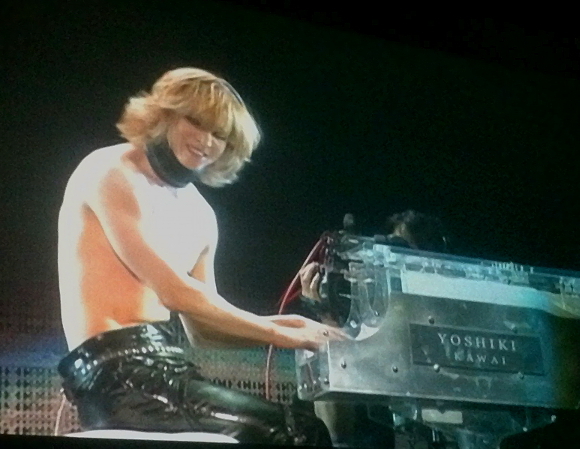 now here is YOSHIKI on the piano…. Here is receives, and drinks, a big Birthday Sake ! the stage and eye contact with every person in the audience! Shinya…. all of them are DAMN good at being on stage…..
and entertain the audience… the GIVE from their hearts! so you can get the mood. I will post a few more photos too. 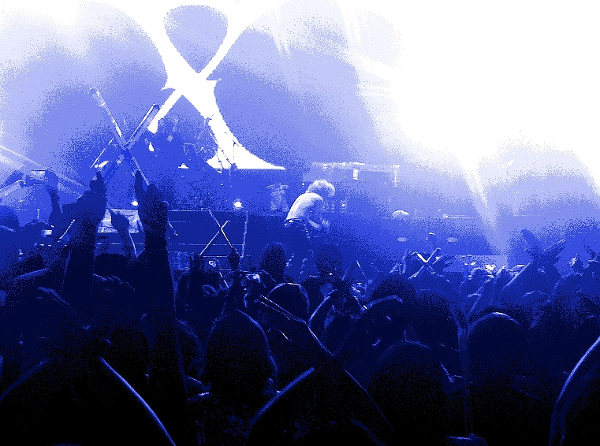 Yoshiki and the throwing of water bottles….